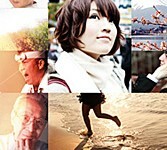 On July 24, 2010, thousands of people around the world uploaded videos of their lives to YouTube to take part in "Life in a Day," a historic cinematic experiment to create a documentary film about a single day on Earth. Now, it's time to watch their story unfold on the big screen. Directed by Oscar winner Kevin Macdonald, "Life in a Day" wowed audiences at the Sundance, Berlin and SXSW film festivals and during its YouTube world premiere in January. This summer, you'll be able to watch the movie in a theater near you.